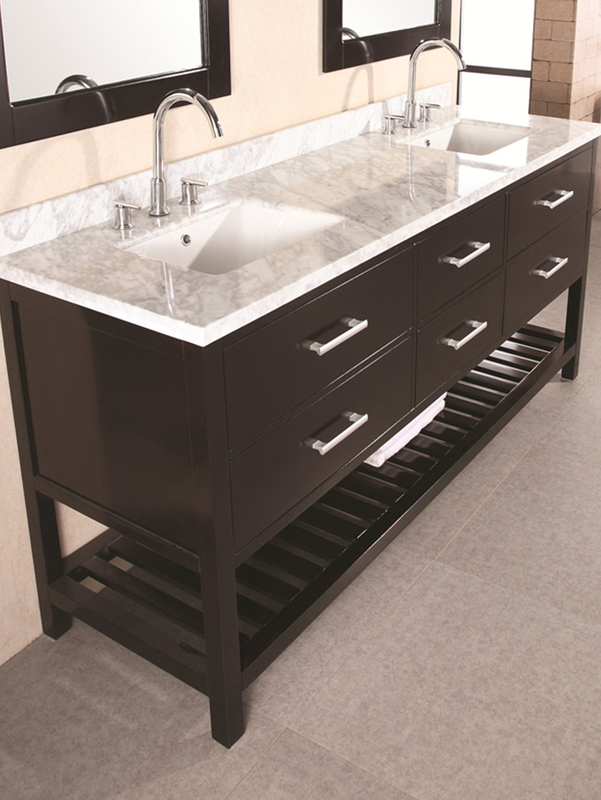 With its spacious counter space and great modern design, the London Double Vanity is a fantastic blend of functionality and style. 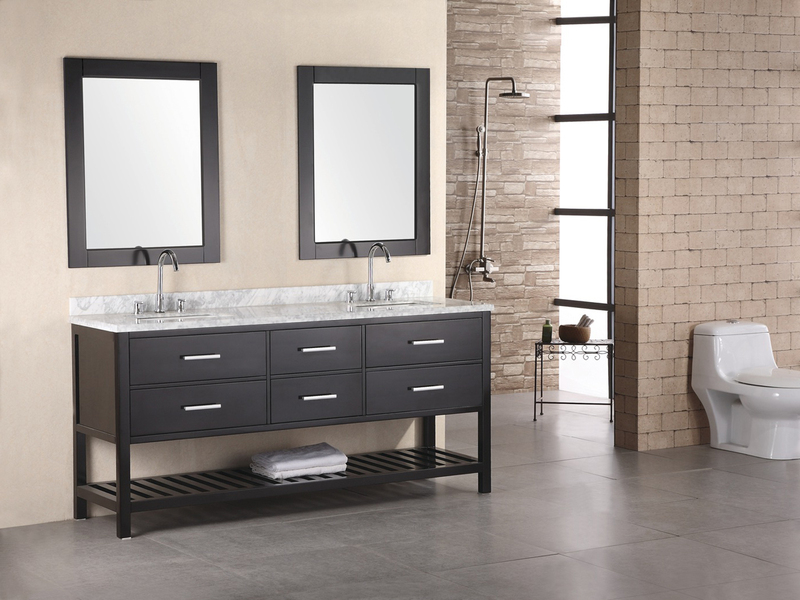 The clean lines, espresso finish and satin nickel hardware make this vanity look great in any modern bathroom. 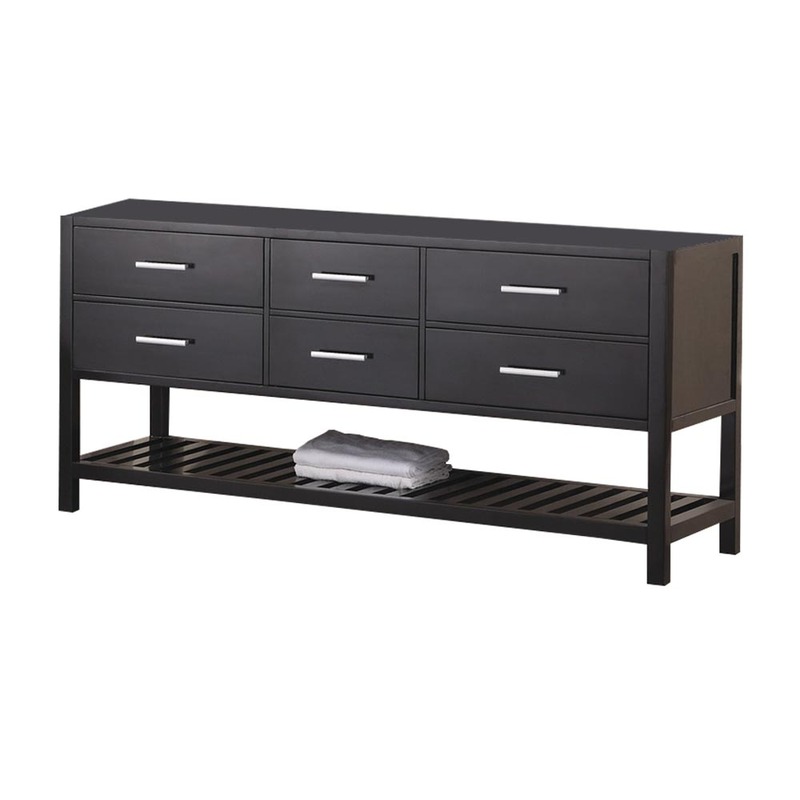 With six drawers and a long bottom shelf, this vanity provides lots of options for storing, organizing and displaying your bathroom accessories. 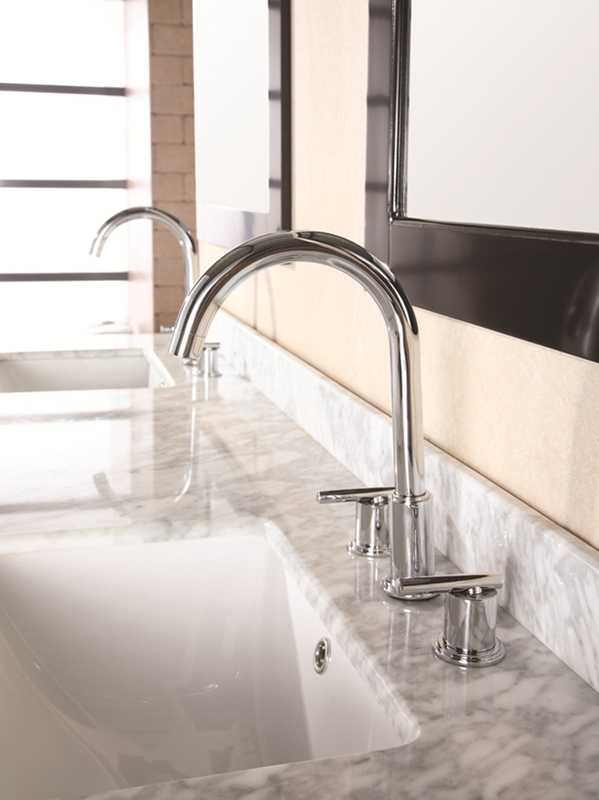 Each sink includes a polished chrome faucet and matching pop-up drain, enhancing its beautiful modern look. 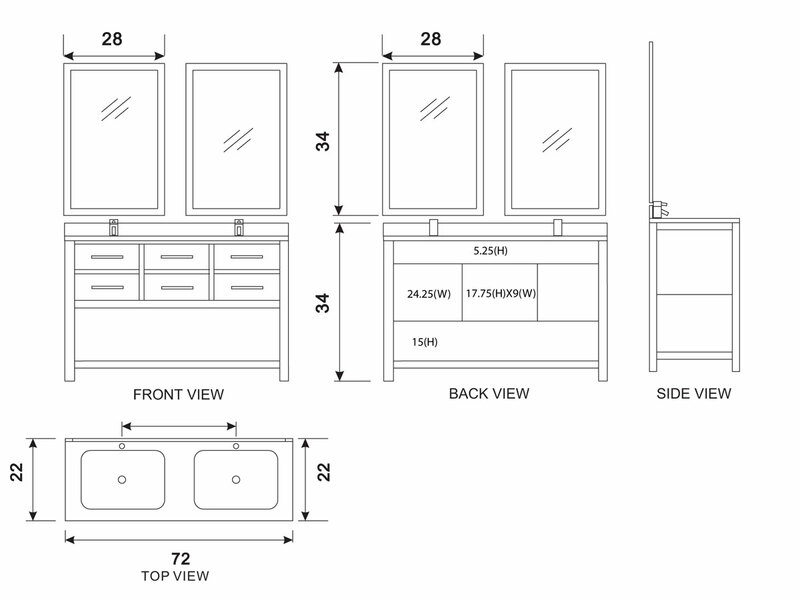 The vanity also includes two matching framed mirrors, making it easy to give your bathroom a modern overhaul. 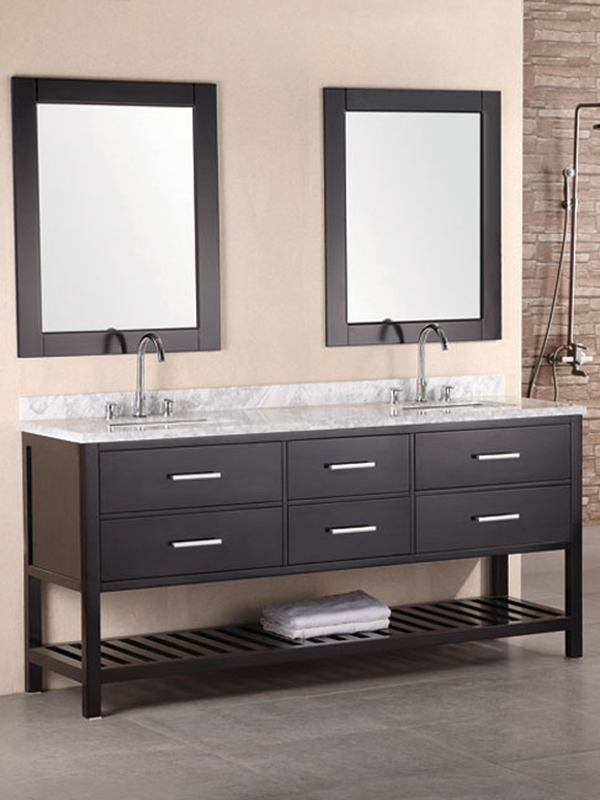 If you are purchasing this vanity with just the base cabinet (without the top), the matching mirror is not included!